The Original Aloha Shrimp Habitats are complete, self-contained and self-sustaining miniature worlds encased in custom handblown glass. Inside each balanced habitat are active micro-organisms, two Aloha Shrimp, algae and bacteria, each existing in perfect harmony. The perfect pet, your Aloha Shrimp require no feeding or water change. With proper care your new family members will have an average life expectancy of eight years. However, it is not uncommon for Aloha Shrimp to thrive in habitats as old as 20 years in the right environment. Inside each Aloha Shrimp Habitat are a balance of active micro-organisms, a pair of Aloha Shrimp, algae and bacteria, each existing in perfect harmony. Easy to care for, Aloha Shrimp is an incredible learning tool that can provide powerful insights about life on our own planet and the natural cycle of resources. 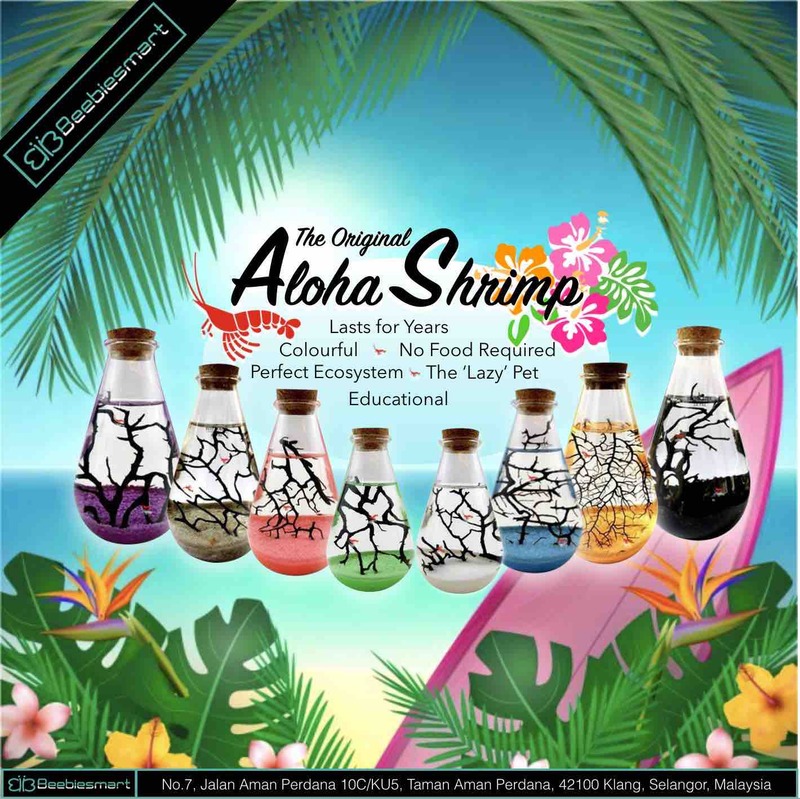 Original and unique, Aloha Shrimp is your perfect self-sustaining ecosystem designed to complement any environment, and makes a fascinating and educational gift for family and friends. Because the living organisms within Aloha Shrimp utilise their resources without overpopulating or polluting their habitat, you never have to feed the life within, and it requires virtually no maintenance. Simply provide Aloha Shrimp with a source of indirect natural or artificial light to enjoy its delicate beauty for years to come. Aloha Shrimp are a new breed of pet shrimp from Beebiesmart.com, these 1cm - 1.5cm creatures proudly hold the longest life expenctancy when copared to other pet shrimp in the market. With minimum care and the right circumstances, expect them to live with you for a minimum of eight lucky years. The oldest recorded Aloha Shrimp Habitat we have at Beebiesmart.com is 20 years and going strong. 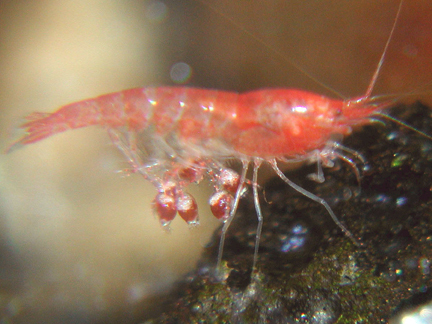 Unlike other varities, Aloha Shrimp feed promarily on mirco-algae matter and bacteria. Occassionally they will eat the bodies of their decayed fellow shrimp due to bacteria and algae groth, but will never go out of their way to kill for food. 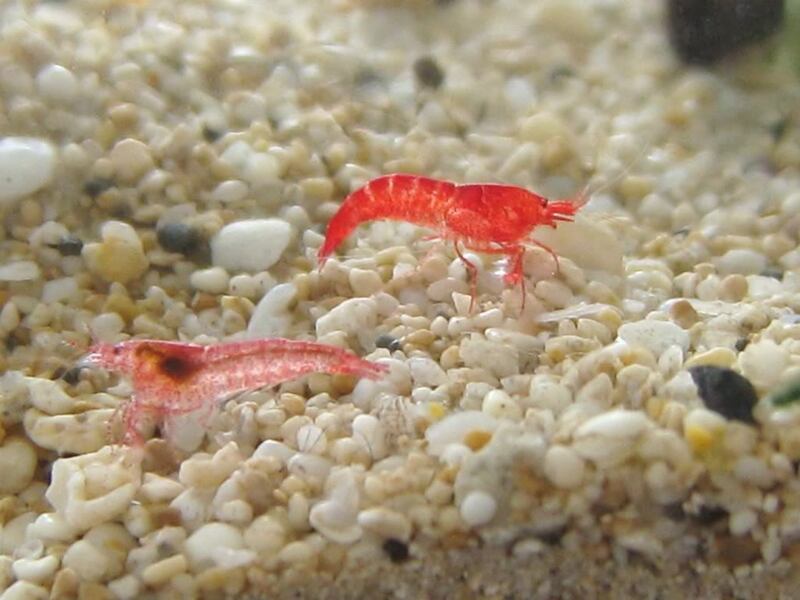 Aloha Shrimp are filter feeders and will often swim to the surface to feed on the water turning the 'water into blood' because of their bright red bodies. Incredibly social, they are rarely seen fighting, and love to gather in clusters. They love soaking up light and storing away their energy for eating, socialising and never fighting. When provided rocks and corals, they love to frolic and play the day away with each other while savaging for food. They love places to hide and cooperate (coral sea fan, ryuoh rock, coral stone, mineral balls) and also use these places when its time to mate. Aloha Shrimp have rather hardly nervous systems, but may suffer from shock when their habitats are constantly shaken or moved about. This will be evident when their usually red bodies turn temporarily white. They will regain their composure and confidence after a day or two, with their bodies turning back to their natural robust red. Should a habitat fall and break, Aloha Shrimp will die from shock due to its tiny body. Because Aloha Shrimp mainly feed on micro-algae matter and bacteria and are incredibly social creatures, the chances of breeding and multiplying are incredible. Upon receiving your Aloha Shrimp, please do not be alarmed by their white appearance. 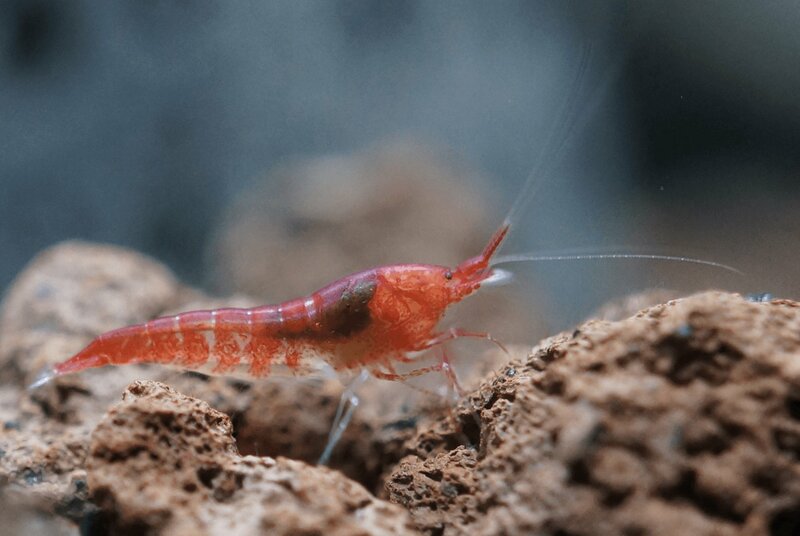 When stressed or scared Aloha Shrimp tend to temporarily lose their vibrant red colour. Give them a few days rest in their new Aloha Shrimp Habitat, trying not to pick up their home, and you'll see their colour gradually return. Your new Aloha Shrimp Habitat is the perfect accompaniment to your lifestyle, and should be placed in places where you can sit and enjoy it. Students love to place it on their study tables, executives and managers their desks, and on coffee tables at home they make magnificant objects that are able to release stress after a long day, simply by taking the time to enjoy its beauty. Wherever you choose to display your Aloha Shrimp Habitat, simply provide it with a source of indirect natural or artificial light to enjoy its delicate beauty for years to come. 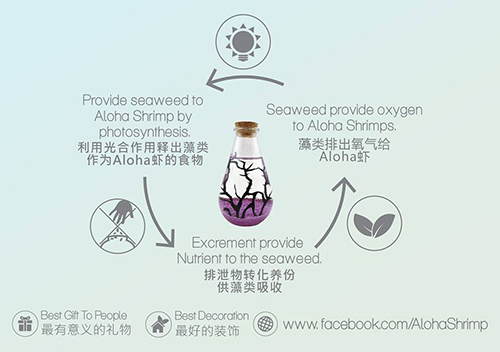 Because the living organisms within Aloha Shrimp utilise their resources without overpopulating or polluting their habitat, you never have to feed the life within, and it requires virtually no maintenance. 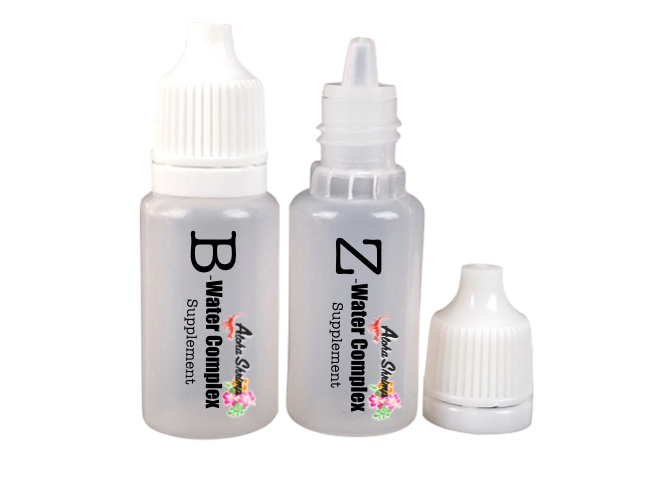 But you can take additional steps to ensure that your Aloha Shrimp live a healthy and happy life for years to come just by topping up any evaporated water with Habitat Water whenever necessary, and by adding 1-3 drops of B-Water Complex Supplement a week to maintain the preffered balanced ecosystem for your precious pets. Everyone is after a clean habitat for their Aloha Shrimp. But here is 1 very good reason to leave the dirt on the glass and let algae growth on the black sea fan coral grow: That's the algae that feeds your Aloha Shrimp, without it they would starve and cease to exist. Trust me, they love it and if you had a sparkling clean tank, that's the time to worry and send us an email on how you can start to grown more algae for their healthy and happy benefit. 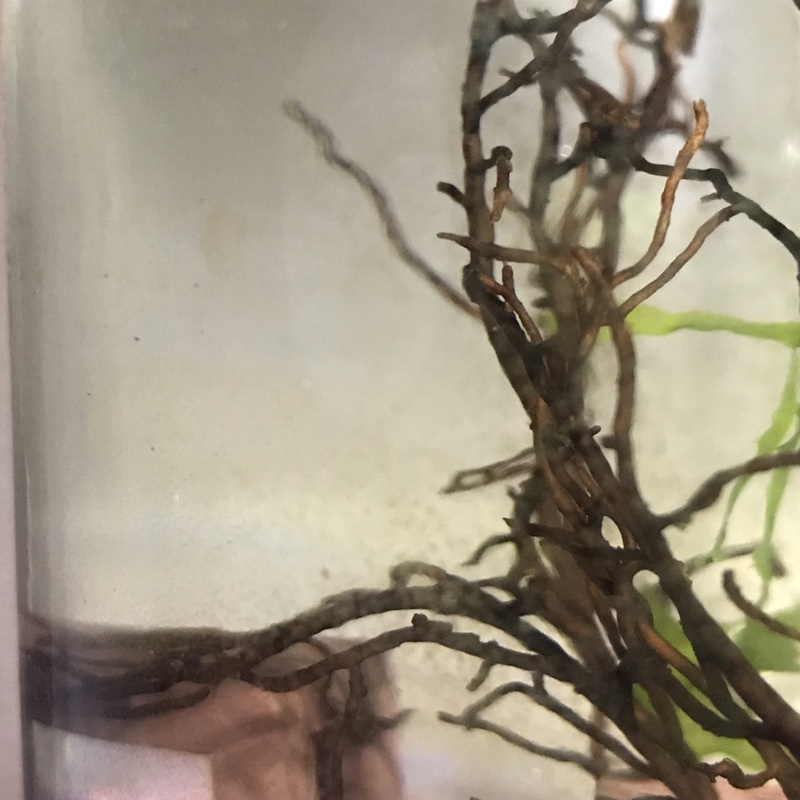 The ideal ecosystem would be branches of green and tasty goodness growing (photo below), as well as a healthy sheen of blown algae on the glass (photo below). Should your tank overflow with algae goodness and you need to have it cleaned, please send it to us for a 'Reset' as unneccesary cleaning will disrupt the ph balance of the ecosystem. Not all water is made equal or safe. Our Habitat water is the only balanced water made specifically for the health and happiness of your Aloha Shrimp. The perfect mixture of active micro-organisms, algae and bacteria will keep your Aloha Shrimp alive and well for years to come. Specially formulated with additional active micro-organisms, a new mix of micro-algaes, micro-mineral goodness and healthy bacteria to keep your Aloha Shrimp at their optimum health for up to a year. Usage: 1 Drop per day. Specially formulated healthy bacteria to keep your Aloha Shrimp at their optimum health for up to a year. Uage: 1 Drop per week. We are proud to announce that we are the only providers of custom, hand blown glass habitats. 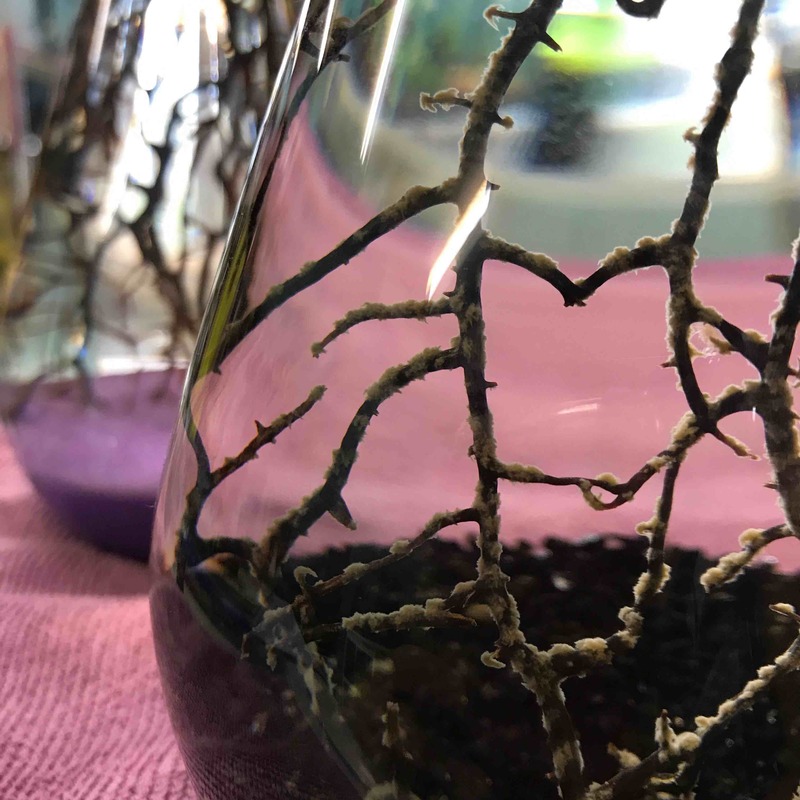 Each habitat was handblown to our specifications, so that you may enjoy your minature ecosystem and total movement of your Aloha Shrimp with no glass lines on the sides to distort your viewing pleasure. Please note that this refers to Mood Habitat, Globe Habitat and Zen Habitat only. We highly caution Aloha Shrimp owners to be wary of inferior and lower quality imitations and breeds - as this can lead to unbalanced habitats and unhealthy shrimp. Please do not use accessories that have not been pre-treated and water, other than Habitat Water or B-Water Complex Supplement, as this may result in sick Aloha Shrimp, or worse cases death. Everything you receive from us has been pre-treated with great loving care and attention to detail. From the black coral sea fan, down to the sand/gravel and stones that will be the foundation of your habitat. We truly have taken steps to ensure that they go through thorough treatment before the items are sent out to you, so all you have to do is pour in the Habitat Water with Aloha Shrimp, sit back and enjoy the beauty of your new habitat. Because everything has been treated and comes from us, we are proud to offer a 7 Day Guarantee to everyone who purchases our Habitats. Why 7 Days? Because within 7 days your habitat will either thrive and continue to thrive for years to come, or cease to exist due to an unbalanced element within ecosystem. This is why it is crucial that you do not foreign accessories into your Aloha Shrimp Habitat. We regret to say that Beebiesmart.com will not be held responsible for habitat deaths that result after 7 Days due to additions to the habitat not supplied by Beebiesmart.com as fair warning has been given.